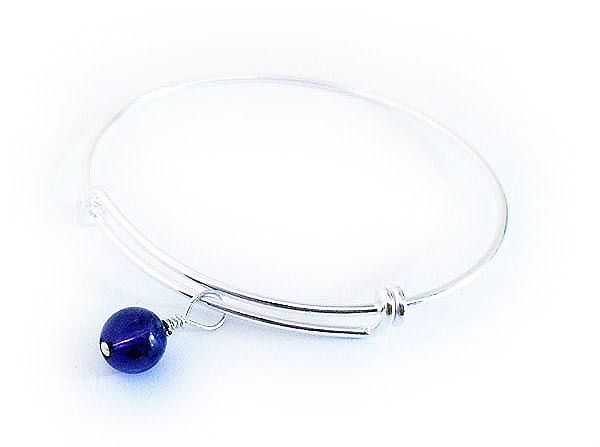 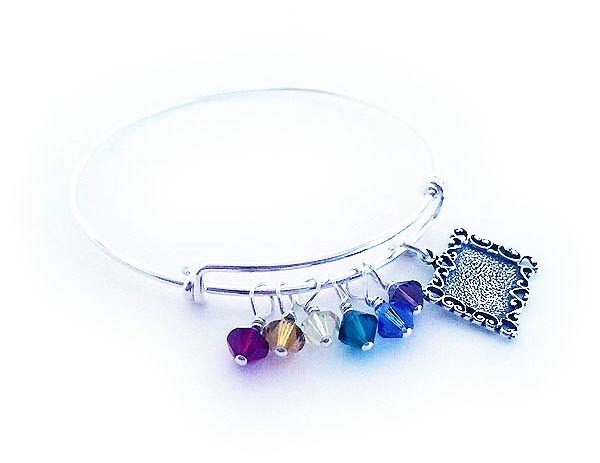 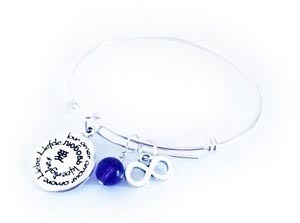 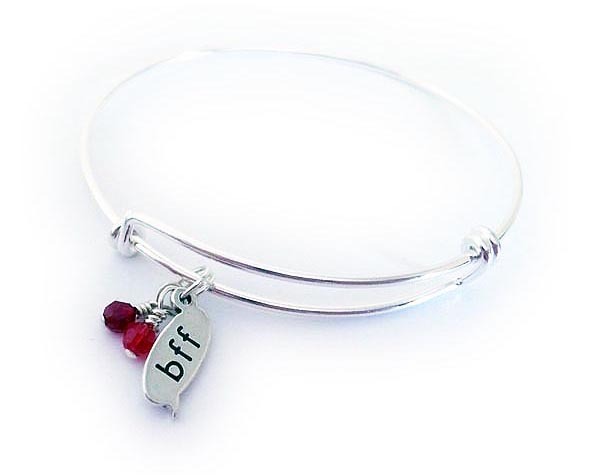 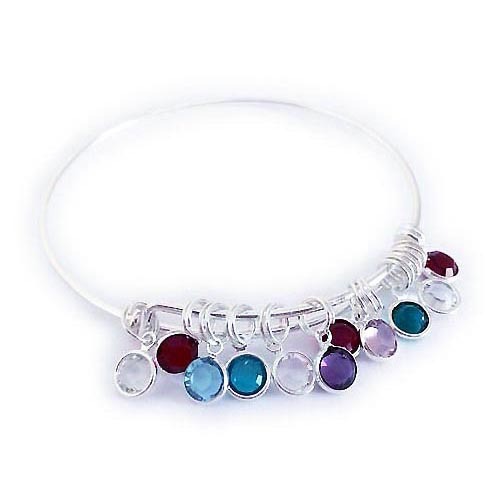 You may add as many charms as you would like to these bangle bracelets. 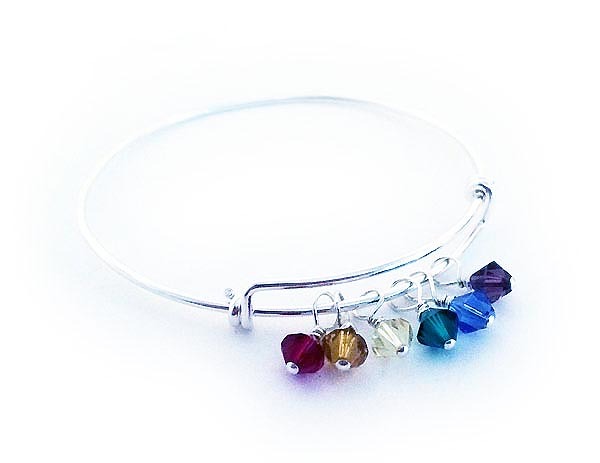 I have gemstones and Swarovski crystals in all birthstone colors and more colors too! 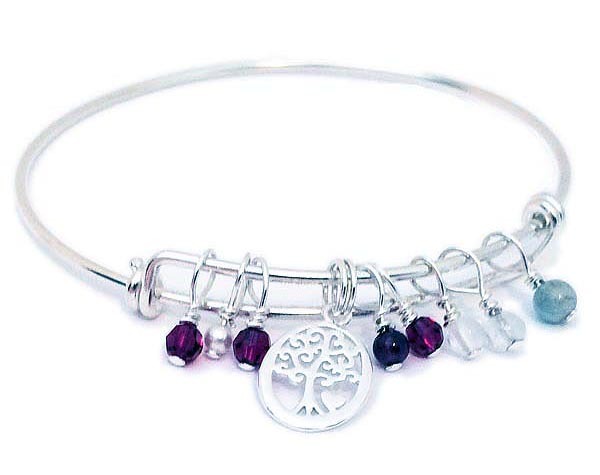 I have 100's of sterling silver charms to choose from. 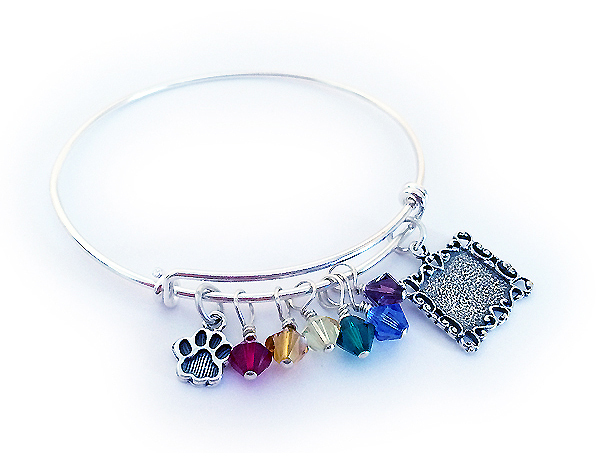 Click Here to see my extensive pictures and list of my sterling silver and gold charms.